Do you have a college, job, or internship interview coming up? Would you like to feel more comfortable and confident? When you don’t have much, or any, interview experience, there are a few tips and techniques that are especially good to know. 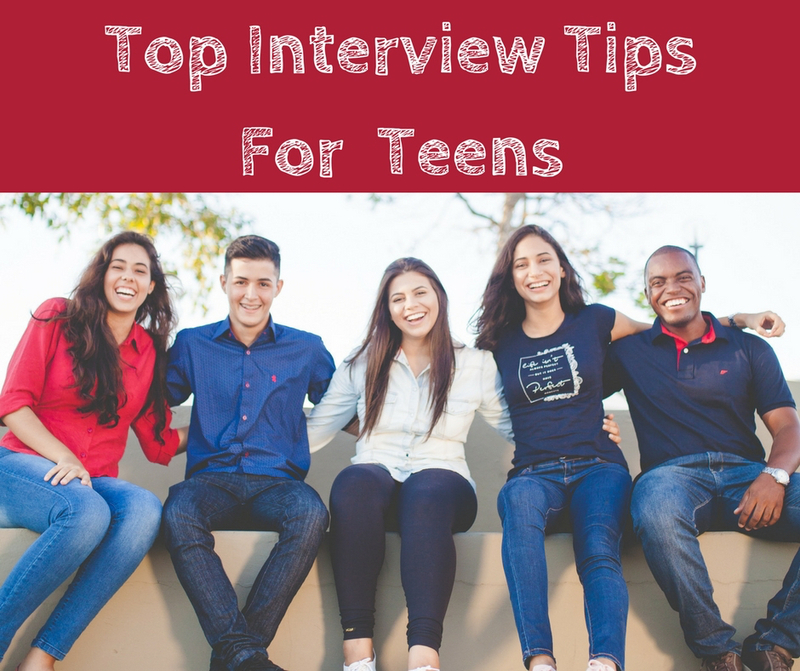 In this post you’ll find my top ten list of interview skills for teens. They’re easy to learn and they work. Use them and you’ll discover how to make a strong and successful impression in your interview. Early means early. Being late makes a bad impression. Plan to arrive at least 15 minutes before your interview. Leave time for traffic jams, red lights, and a lack of parking spaces. There’s a big bonus to arriving early. You’ll have time to sit down, relax, and get acquainted with your surroundings. You can double-check your notes. You can even take a trip to the bathroom. If you’re not sure where you’re going, schedule a practice run. Or do it virtually. I tend to get lost, so before I go someplace new I use Google Maps street view and take a virtual trip where I’m headed. That way I can see the building I’m going to and it looks familiar when I get there. Collared shirts, khakis, dress slacks, skirts, button down blouses…this is the stuff people wear to interviews. Leave anything sheer, high cut, or low cut in your closet. Bottom line: This is one time you want to get wardrobe advice from a grownup. 3. Relax. It’s Normal to Be Nervous. -Prepare. This may sound obvious, but it’s the thing that works. Know your positive qualities, have four or five examples you can talk about that illustrate your fit and experiences, and practice answering common interview questions. When you get to the interview you’ll feel more confident and in control. -Arrive early so you can settle in. -Take a brisk walk to shake off any jitters. -Breathe! We forget to do this all the time. -Remember the interviewer’s not the enemy—he or she wants you to do your best and succeed. -If you need an extra moment, take a sip of water. -Smile. It helps you relax inside. For more help on how to de-stress, read my post on combating interview nerves. Starting Your Interview: Look the interviewer in the eye and greet him or her with a firm handshake. Address your interviewer by name. Be cheerful and complimentary. (“Hello, Mr. Gavin, it’s a pleasure to meet you. Thank you for taking the time to meet with me.”) Smile. Ending Your interview. Do the same thing: Look the interviewer in the eye, shake hands, and smile. Thank the interviewer for his or her time, and make sure to say that you enjoyed the experience. (“Thanks for taking the time to meet with me, Mr. Gavin. I really enjoyed talking with you.”) Saying you enjoyed the experience is important. It helps leave the interviewer with a positive impression. Tip: A note on shaking hands. Some teens feel uncomfortable about being the first to offer a handshake. Don’t be—it’s a sign of confidence and maturity. The interviewer’s looking at you for adult qualities like maturity, responsibility, and leadership. Your handshake should be firm, but not bone crushing. And certainly not like a limp fish (!). For more information, read my post on the best ways to begin and interviews. 5. Be Able to Answer Common Interview Questions. Why do you want to work here/Why do you want to go to school here? How would you be a good fit here? Tell me about a couple of your strengths. What are your favorite subjects in school? Why? What’s been your most challenging subject? What’s gotten you curious enough to explore on your own outside of class? How would your friends or teachers describe you? What book(s) have you read recently outside of class? Tell me about a time you had to overcome an obstacle or challenge. Do you get along with your teachers? Where do you see yourself in five or ten years? Practicing is one of the best things you can do to get ready for an interview. Enlist a friend or family member to practice with you, and take turns being the interviewer and interviewee so you get a feel for both sides. For more sample questions, check out my practice interview. 6. Never Give One Word Answers. Add Relevant Examples Instead. Interviewer: That’s terrific. Tell me more about your mentor and how you work together. When you include examples, you continue the conversation. The interviewer learns a lot more about you, and gets a much better sense of why you’d be a good fit. Tip: Come up with 4 or 5 examples you can talk about in your interview. Your examples should help illustrate your positive qualities. Start by finding an example of leadership, an example of your ability to work as a team member, a time you overcame an obstacle, and both a class and an activity that have been particularly meaningful and why. Then, depending on the question you’re asked, choose the example that helps answer the question. (You can probably think of other ones, too.) If you need help figuring out your positive qualities, click here. 7. Research the School or Business. Pretend you’re an interviewer and you ask two students why they want to go to your school. The first one says, “Because you’ve got lots of fun courses.” The second one says, “I really appreciate the school’s philosophy that to fully succeed you should know more than your single field of study.” Which student is going to stand out to you? The student with the specific answer. How to Research a School: Go to the school’s website. You’re looking for two things: Information about the school and information about the students. Start by looking at the home page. What images and words appear on this page? The home page is like the school’s main ad—it’s where they’re going to hit you with a strong message about who they are and what makes them attractive. After the home page, find and read about the school’s mission and academic philosophy. Then follow the links that interest you to learn about academics, student life, activities, etc. As you go along, take notes about what interests you. Jot down the key words used to describe the school and its students (Involved? Globally aware? Research oriented?). Then come up with examples of how you fit those words and interests, so you can talk about it in the interview. 8. Use Good Body Language. Body language is how we communicate without words. Believe it or not, before you say hello an interviewer is judging you based on your body language. That’s why good body language makes a good impression. For more body language techniques, read my post, Six Confidence-Building Body Language Tips. You should have two or three questions ready for the interviewer. Your interviewer will expect it. Write your questions down on a notepad and bring them with you. You can refer to the notepad when you ask your questions. (But don’t refer to your notes when you’re answering interview questions.) Make sure your questions are thoughtful. Don’t ask questions easily answered by the website. Tip: You don’t have to wait until the end of the interview to ask questions. Ask questions when it feels appropriate. 10. Send a Thank You Note. This is crucial. 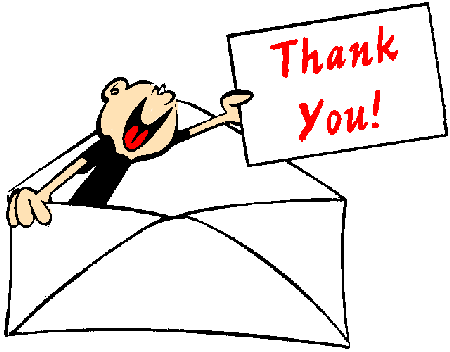 Send a thank you email right away. If you’d like to, you can also follow up with a handwritten note. When you’re writing, don’t be too casual. Instead of “Hey” or “Hi,” say, “Dear _____.” In the body of the note refer to something the two of you talked about, because that will make it more personal. One final, very important item: Make sure you know the correct spelling of your interviewer’s name, title, and contact information. If you don’t have it, ask for it at the desk when you arrive or ask your interviewer for a business card. If you still don’t have it after the interview, call and ask. Don’t hesitate to do this; you want everything to be just right. Details matter. Mistakes matter, too. -Greeting your interviewer warmly and with a smile. –Having examples and experiences ready to talk about. –Finding connections: If you discover a connection with your interviewer (a book you’ve both read, the same city you grew up in, a shared interest or hobby), discuss it! It will help the conversation flow. Categories: Interview Skills | Tags: college interview tips, How Not to be Nervous in Interviews, How to Prepare for Interviews, internship interview tips, job interview tips, Sample Interview Questions, Successful body language tips for interviews, Top Ten Interview Tips for Teens | Permalink. It takes just a few seconds before we pass judgement on someone we meet. We can’t help it; it’s our nature. Even before a person speaks our brains start to give us the thumbs up or thumbs down. Body language is how we communicate without words. It can be a look, a smile, a stance, a gesture. It can be a fidget, a crossed arm, a slouch. Interviewers start to make decisions about you the moment they see you. That’s before you say hello. So if your body is talking, you need to know what it’s saying. 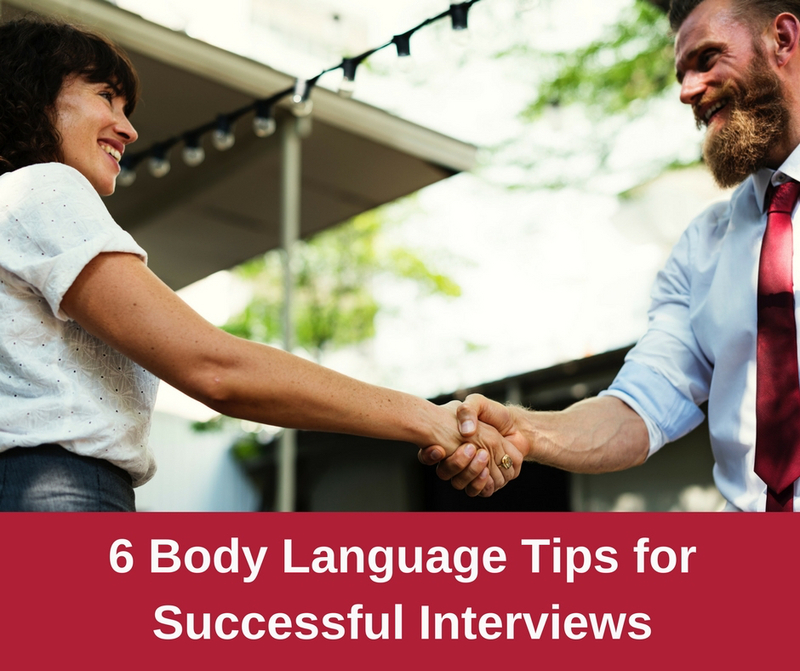 Because in an interview, good body language is essential to your interview’s success. 1. Sit up straight. Slouching is a sign that you lack confidence. Leaning back is a sign that you’re defensive or don’t care. 2. Lean slightly forward. When you lean slightly forward you lessen the space between you and the interviewer. It shows increased interest in the conversation. 3. Don’t fidget. Fidgeting is a sign of discomfort or weakness. It’s also distracting. If you twirl your hair, pull it back. If you twist or rub your hands, fold them in front of you or keep them flat in your lap. If you tap your pen, put it away. Fidgeting can be a hard habit to break, but if you work on being aware of when you do it, and stop yourself when you do, you’ll find that over time you’ll be able to control it more easily. 4. Maintain good eye contact. Looking someone in the eye is a sign of honesty and directness. It also shows that you’re engaged in the conversation. It’s okay to occasionally look away — most of us do that, especially when we’re thinking. But remember to bring your eyes back to the interviewer. Don’t stare, though — that can get creepy. 5. No limp fish handshakes. A strong handshake is a sign of confidence, so be firm when you shake someone’s hand. Too strong a handshake can come off as aggressive (and potentially painful). So can holding on for too long. Not sure about your handshake? Find several people to practice with. 6. Smile. A genuine smile lights up your face. It shows the interviewer that you’re happy to be there and that you’re enjoying the experience. So when you meet your interviewer, smile. And when it’s appropriate during the interview, smile (or even laugh). Definitely smile when you shake hands and leave — that’s the last picture your interviewer will have of you. For more information about interviewing, check out my posts on how to begin and end college interviews and why you might be failing your job interview. All eyes are on you from the moment you arrive for your interview until the moment you leave. Make sure your body language speaks volumes — in the right way. 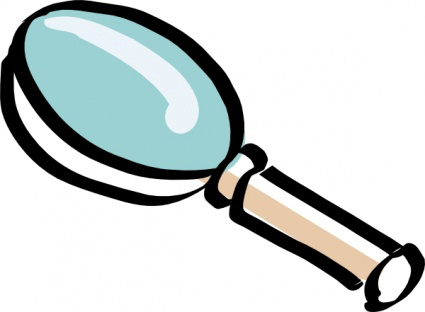 Do you need help with your interview skills? Get In touch! I will teach you the keys to a successful interview. 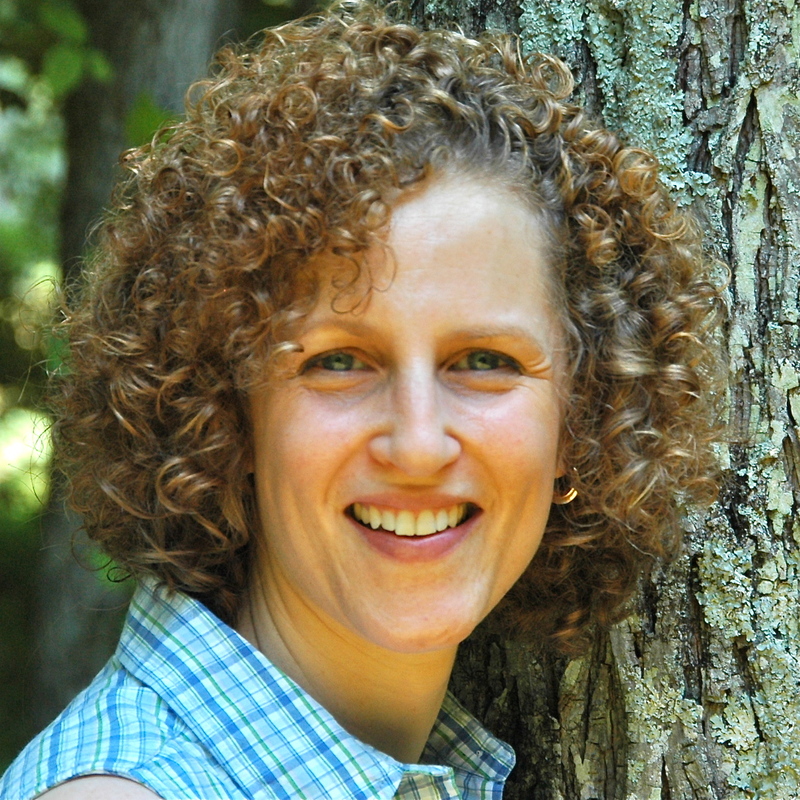 Categories: Interview Skills | Tags: college interview tips, internship interview tips, job interview tips, sharon epstein, Successful body language tips for interviews | Permalink.